Welcome to Roro’s kitchen – as some of you may know, one of my passions is cooking. Cooking for me is a way to unwind and express my creative side after a day of ranting. What could be more quintessentially Israeli than mixing politics and food? Living in Israel means having access to no less than 80 different ethnicities and each one has their own unique flavor. I invite you try some of my recipes – experiment, taste and revel in the different flavours. 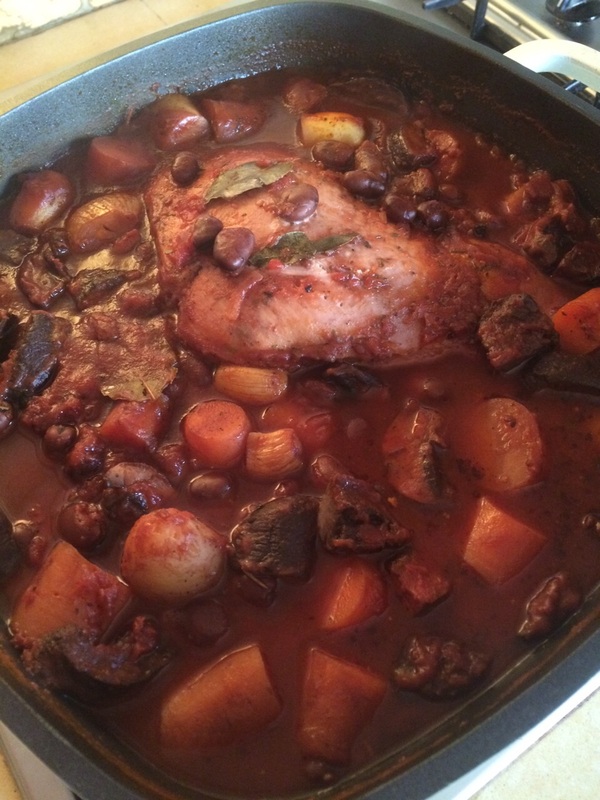 I also highly recommend enjoying my recipes with a glass of fabulous Israeli wine – B’teavon and L’Chaim! Take your delicious, chubby Israeli chicken with all of its innards removed. I like to stuff the bird with cloves of garlic, strips of onion and lemons cut into quarters – it keeps it moist from the inside out while adding delicious flavours. I then like to spice the chicken (on both sides) with pepper, hawaj (this is quite salty so you don’t really need to add salt) ras-al-hanoot, paprika, a zap of ginger and a zap of turmeric. Then pour a little olive oil and gently rub the entire bird in the spices and oil. The skin will crisp when cooked and you will lock in the flavours. Don’t forget to include the wings and legs. Roast for 45-60 minutes till ready. Enjoy – with a glass of wine! 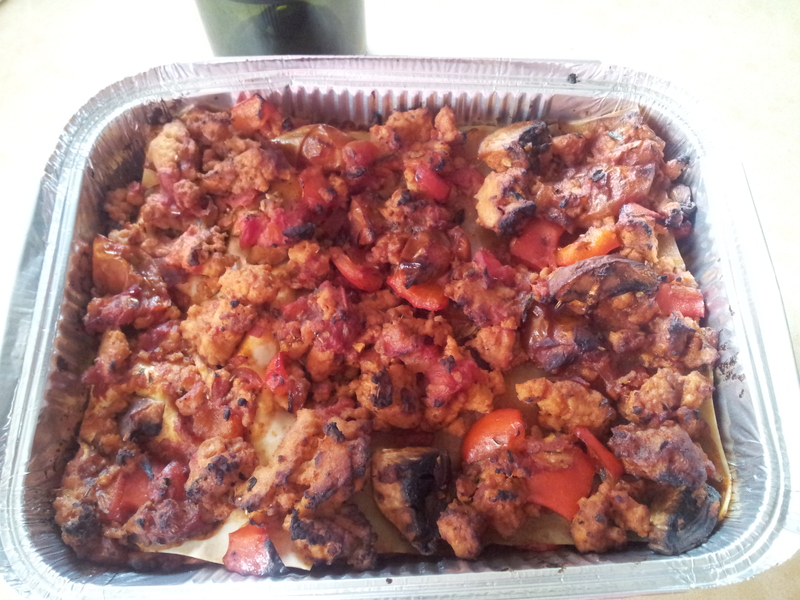 If you keep kosher (or just want a slimmer waistline) then give my parev lasagna a try. It is an extremely versatile dish that can be adapted for vegetarians by substituting meat for lentils. I normally use a Barillo pasta sauce or you can use two cans of whole peeled tomatoes and squash them down in the pan with a fork. A whole lotta veggies and some lasagna sheets. I like to add veggies to these dishes so add in your sauce: grated carrots, grated zucchini (kishuim), chopped up peppers and mushrooms. Add in your wine and herbs and let it simmer for a few minutes. Once ready, in a dish, layer your sauce, then lasagna noodles, then sauce (okay you get the point!). Bake at 180 degrees for approximately 30 mins – lasagna sheets should soften and cook. Place it in the slow cooker and add 3 x punnets or tins of tomato and onion mix, 1 x tin of red beans (with the juice), mushrooms (I like to use the brown mushrooms as they have a nice nutty flavor), several whole cloves garlic, shallots, carrots cut into chunks and baby potatoes cut in half. Salt pepper and a whole whack of green herbs that include sage, thyme, rosemary and parsley. Add a generous splotch of wine (about 2 glasses) and cook on auto-high for about 5 hours. I normally do 2 on auto and 3 on high. I love quinoa. It is wholesome, nutritional and delicious and a great alternative to pasta if you are following a gluten free diet. What could be more yummy than adding a delicious bolognaise? So here is how you do it…. 1 cup of Quinoa requires 2 x cups of water – bring to boil and then simmer until quinoa is cooked. Then a generous helping of red wine (hell yeah! Wine makes these kind of sauces taste richer and more texterous). 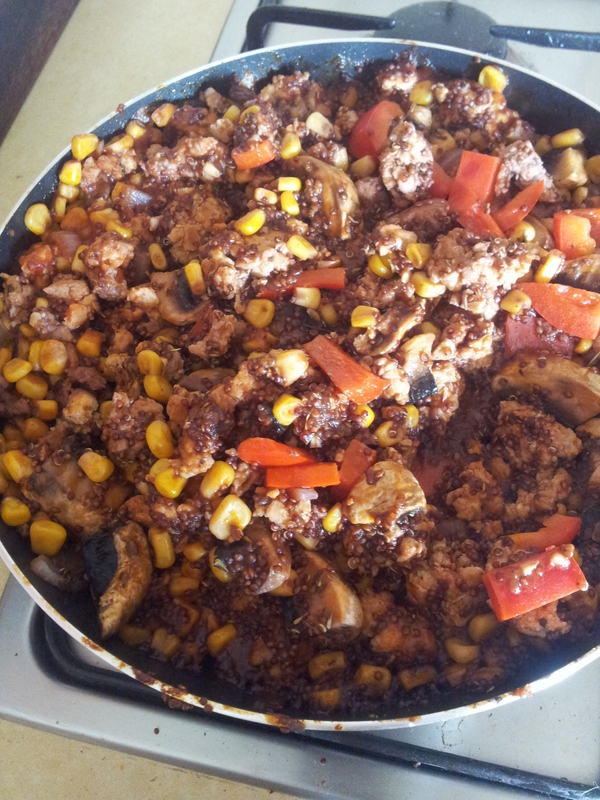 I then add mushrooms, corn, chopped up peppers and lots of green herbs and salt and pepper. 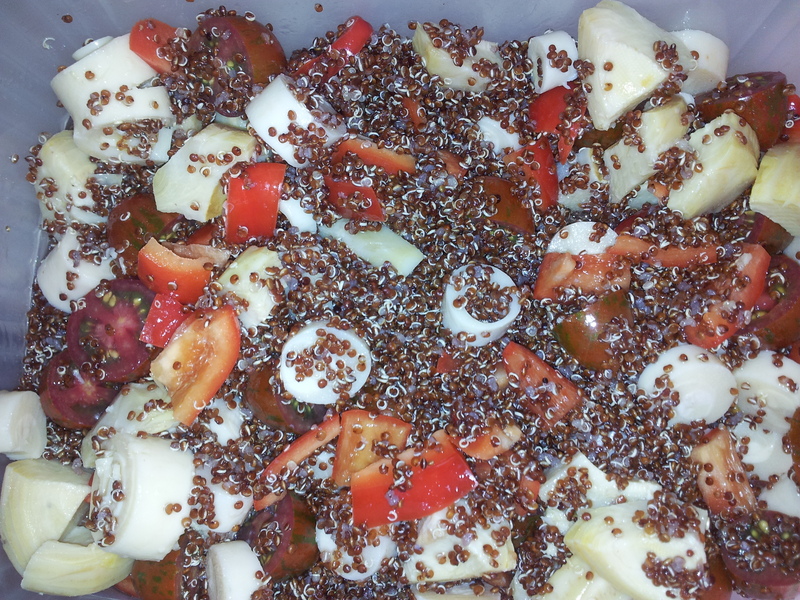 When everything is nearly ready, add the quinoa so that it absorbs the liquid. This recipe is dead easy and suitable for vegans/vegetarians/people who just like veggies! Fry chopped up onions (I always use red Spanish) in olive oil. About four zucchinis, washed with top and tails chopped off. You can use a special gadget that makes spaghetti style zoodles but I used my peeler to create strips. Peel your zucchinis into strips and flash fry them in olive oil for about a minute and a falf, ensuring that they do not get soggy. 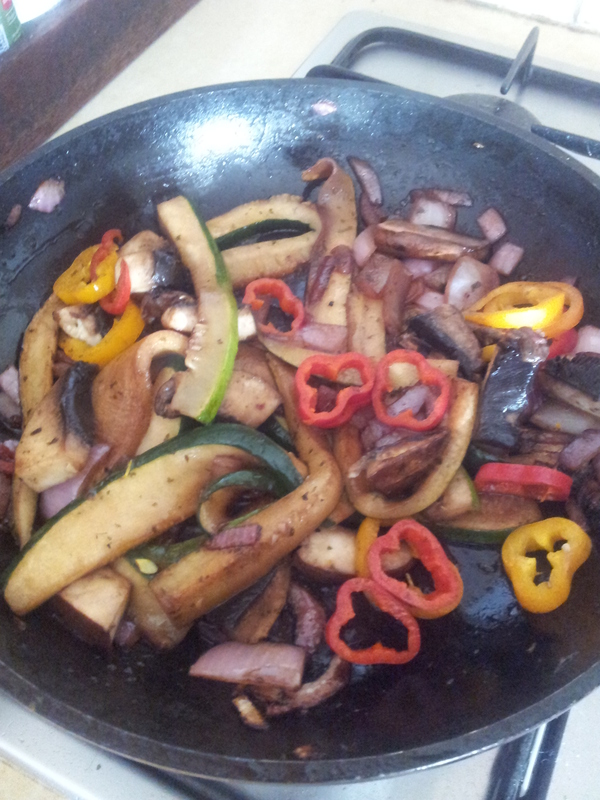 Fry mushrooms, red peppers, onions in a little bit of olive oil and garlic. Add a tomato based sauce and as much herbs as you would like. Season with salt and pepper. Add your zoodles as soon as your sauce is ready and voila – you have a carb free substitute to pasta. This recipe is fast becoming a summer favourite and it is so easy to make and very healthy as well. Add two cups of water to a cup of quinoa and boil until the quinoa is ready. I like to use red quinoa for a nice pop of colour. Add to that: heart of palms cut into rings, canned artichokes, drained and cut into quarters. Choppped up cherry/baby tomatoes and chopped up red/yellow peppers. This is perfect for those chilly days or when you need to indulge in a little comfort food – without the calories. I like the veggies chunky and I also add a bit of couscous when I serve it – the grains will swell from the broth. 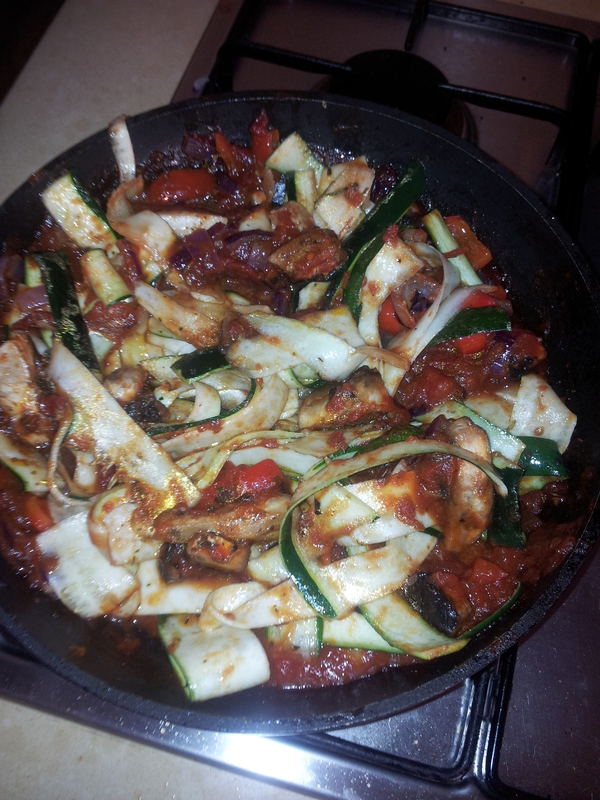 Add zucchini/baby marrows cut into large chunks and a can of whole peeled tomatoes. You can add a can of drained chickpeas or if you like it spicy like me, a can of beans in hot tomato sauce. I also add a lot of stock – either chicken or vegetable and parsley – either dry or fresh. I love a good meatball. One of my favourite meatball dishes is the meatballs in artichoke bottoms that you get from Pinati’s – a popular chain that specializes in Middle Eastern food. I decided to create my own version of the tasty treat as I don’t think they will be parting with the recipe any time soon…. 1 – 2 tins of artichoke bottoms (don’t drain the juice). Make your meatballs: I add chopped onion, egg and a whole batch of spices including turmeric, cumin, hot paprika, ras-al- hanoot or anything you like in a nice meatball. Roll them small enough to fit into the artichoke bottoms. Brown them on all sides to lock in moisture. Place your artichoke bottoms in an oven proof dish. Cover with whole peed tomatoes/pasta sauce. Add green herbs like basil, oregano, thyme and rosemary. Add salt and pepper. Pour in some of the juice from the tin as well as about half to ¾ glass of red wine. (naturally you should have some to drink with the meal as well…). This will form a thick, rich, delicious sauce. Bake covered for about 40 minutes. Serve with couscous or rice. This is a delicious and nutritious (as well as vegan friendly!!) light summers dish. Spaghetti squash are delicious and a great alternative to traditional pasta if you are looking for something lighter to eat. Cut spaghetti squash in half, length wise and scoop out the pips. Roast them on about 180 degrees for 45-55 minutes. I put a little bit of salt, pepper and olive oil on them as well as some chili flakes for some heat. In a separate pot, cook your quinoa. I love the red or black quinoa that gives a pop of colour to the dish. 1 cup of quinoa, add to that 2 cups of water and bring to the boil until all the water has been absorbed. And now for the sauce! Fry up onions and garlic, add to that tomato puree or a sauce of your liking. I added mushrooms, grated zucchini, artichokes (and a little of the juice from can for sweetness), red peppers and season well with salt, pepper and green herbs (I use thyme, oregano and parsley). I added a handful of baby spinach leaves just before serving. Once the spaghetti squash is ready, scoop out with a fork, add the quinoa and sauce and voila! This salad brings a burst of vibrant colour to any table and is perfect for any occasion. 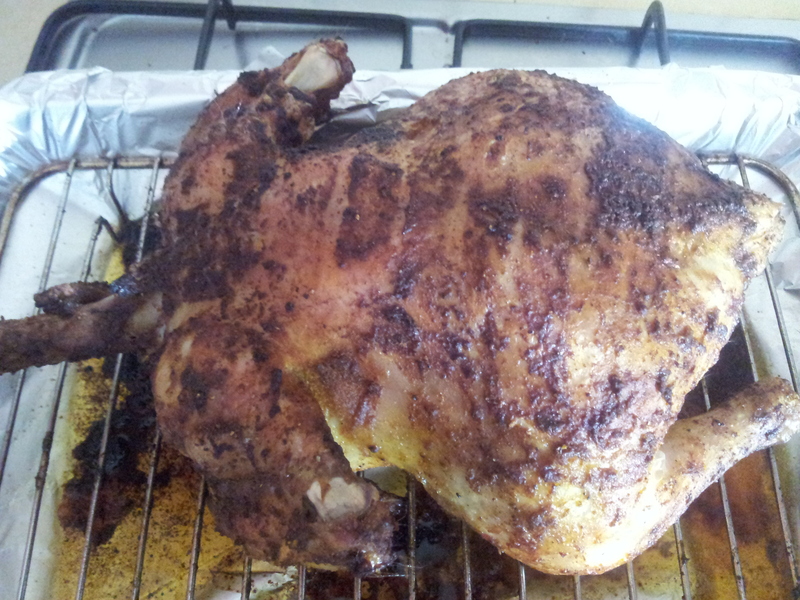 It is a bit labour intensive but totally delicious – and worth it! Take 4-5 large, firm, beautiful red peppers and cut off the tops. Clear out the pips and white core. The tops will be uses as a “lid” when peppers cook. In a pan fry onions and garlic and add minced beef (or soya/chicken/Turkey). Add a cup of rice to the mix along with chopped mushrooms and peppers. In a stove-top dish, simmer until red peppers are softening. Spoon some of the sauce while simmering into the peppers and once the rice is cooked, your peppers are ready. Add couscous once it is ready. The couscous will swell. Put all ingredients into a pot, cover with 2litres of water and boil for about 45 minutes until tender. Add celery and simmer for about 15 minutes. Serve and add couscous which will swell in the hot liquid. Rolene – I cannot wait to try it exactly your way!! Thank you!! Sounds excellent but what is equivalent to ras-al-hanoot and hawaj?